At only 18 years old, the local taekwondo player hung his first gold medal in a South American Games. He beat the sixth best in the world in the semifinals, and in the decisive encounter defeated the Uruguayan Mayko Votta by 5-1. Intractable. Thus entered the tatami of the Center of High Performance the Chilean Ignacio Morales. From early on he showed his hierarchy. In the eighth, he defeated Argentine Lucas Guzman by 8-5, and in quarterbacks he defeated the great favorite of the tournament, Brazilian Guilherme Dias, who is the current sixth in the world ranking in the category up to 58 kilos, for a surprising and forceful 6-2. In the semi-finals he easily defeated Surinamese Kevin Fernald by 11-1, and entered his name in the final of the category. In the final, the local had to face the Uruguayan Mayko Votta. In the first round he made the difference. With 4-0 I could already see the glow of the gold medal very close. In the second round were not marked, but in the third the charrúa could score one point, plus another of the Chilean set the final 5-1. 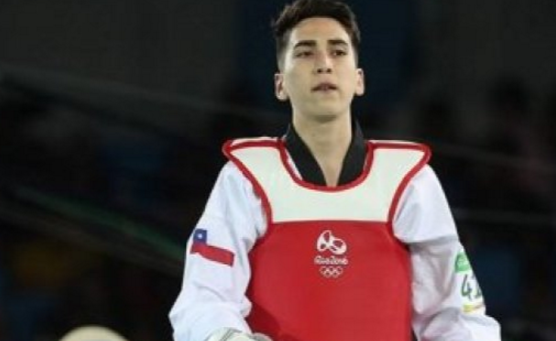 Thus, the Chilean Ignacio Morales became the new South American taekwondo champion. said the local taekwondista, who held in front of his audience. The victory over Brazil’s Guilherme Dias was key. Morales is only 18 years old and has already participated in two South American. In the second time the gold medal was hung. said Luis Fredes, Of Morales since 2009. Meanwhile, the Uruguayan Mayko Votta was left with the silver prize. “I was very tired, because in the semifinals I had a very hard fight. He did not give me the physique, but I’m happy with the medal,” said the 36-year-old Charrúa. The bronze medals were for the Colombian Harold Avella and for the Surinamese Kevin Fernald.